Beyond the Camera and my favorite apps for open ended use (Sketchio, StoryKit) kinder-kids can demonstrate their understanding of key ideas and details of stories using some awesome apps. Toontastic, FREE, allows children to create their own story and even publish to YouTube (not required). It includes learning about elements of stories- including the effect music has. Children pick from or make their own settings and characters. Absolutely terrific for RL.K.3! 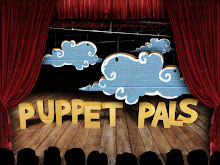 Puppet Pals, FREE, is another story/play making app. Create or use provided characters, animate and narrate. You can even turn your photos into characters. Felt Board, $, lets your students create a fun scene using ‘felt’ pieces. Included are parts needed for retelling popular Monkey stories and many more. Thank you for this post! We have 4 iPads in our classroom and we are constantly looking for ways to use them effectively.